Did you enjoy our recent feature where we detailed some of the best fitness classes that Dublin has to offer? From the wonderful to the wacky, we proved that there’s definitely something out there to get the capital moving, no matter what you’re into. You don’t like fitness classes? You prefer the freedom of an outdoor run? Not to worry. I’ve hit the road (literally) to compile a list of nationwide runs to get you off the couch and get your heart rate elevated. There’s something out there to suit all ages and all capabilities. This was the first 5K I ever participated in and who’d have known it would be the reason I caught the running bug. 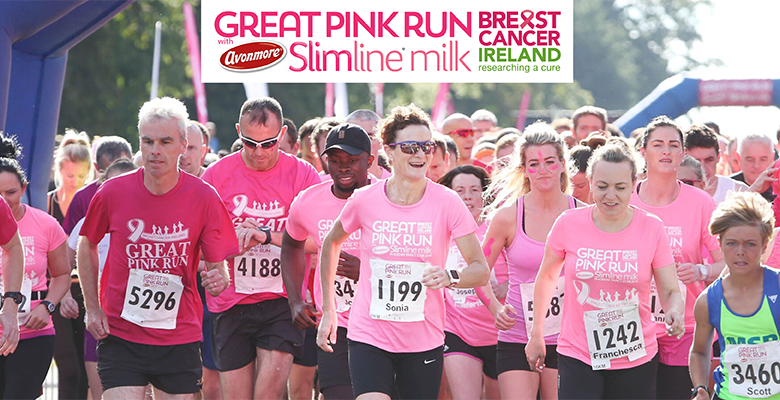 In aid of Breast Cancer Ireland and sponsored by Avonmore Slimline Milk, this race has a 5K and 10K route and takes place in Dublin and Kilkenny. Although not mandatory, pink attire is preferable on the day and the more elaborate the better! To put it into context, I was highly underdressed by wearing a pink t-shirt. It’s all about head to toe pink here. After the Great Pink Run 5K, I moved on to bigger and better things. The VHI Mini Marathon 2017 was my first ever 10K race – who’d have known 10 months later I’d be in the middle of training for my first ever half-marathon. The Mini Marathon is synonymous with charities and almost everyone running is doing so on behalf of a charity or organisation. Last year I ran on behalf of LauraLynn’s Children’s Hospice and I will be doing the same this year. Look out for the girl in the blue LauraLynn t-shirt with the red curly hair and the rosy cheeks. That’ll be me. 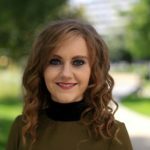 “Run like you’ve left the immersion on” – just some of the motivational words from VHI that kept me going last year as I hit that half way mark around UCD. And if you’re not around Dublin on the day, you may wish to take part in the 2018 Irish Examiner Cork City Marathon – details below. Famous the world over, the Dublin City Marathon is one for the marathon-runners’ bucket list. This year’s event takes place on Sunday 28th October – Happy Hallowe’en. Run Galway Bay is probably one of the most scenic runs you could choose to do. It has been described as “breath-taking” and “spectacular”. One can participate in the 10K, half-marathon or full-marathon. 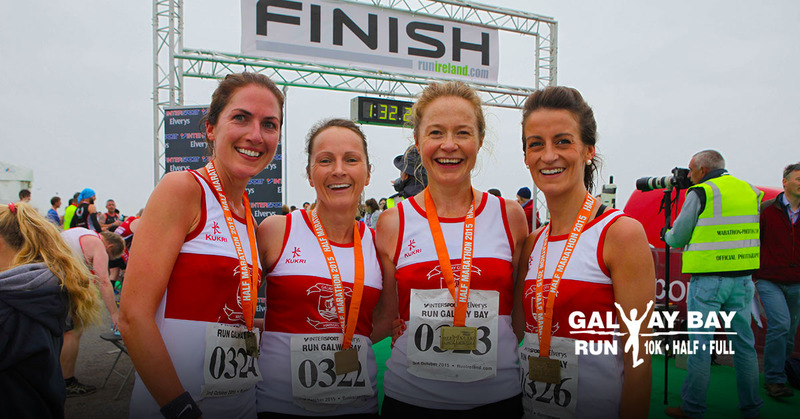 It is a flat course through the heart of Salthill and along Europe’s longest promenade. The route offers panoramic views of the Burren, Co. Clare across the waters of Galway Bay which is sure to help take your mind off your tiring legs. The race has a beautiful relaxed vibe, making it attractive for non-experienced runners. 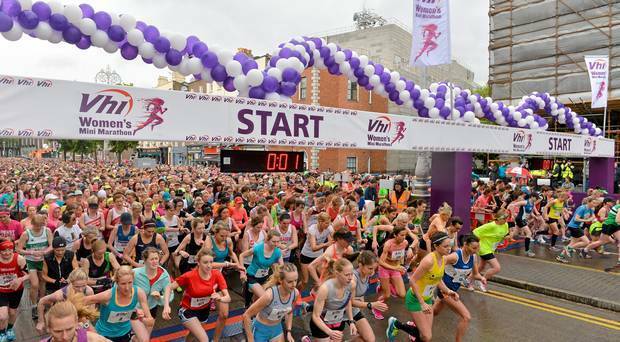 With over 3,000 participants, it is fast becoming one of the major running events in Ireland. The atmosphere, both pre- and post-event, lives up to Galway’s reputation for being a “tourist spot” and provides the ever exciting “race buzz”. The Cork City Marathon, sponsored by Cork City Council, is more than just a run or a marathon. It’s a day out for the whole family where everyone can get involved if they wish to do so. Participants can choose to take part in youth challenge, a team relay, a half-marathon or a full marathon. The inclusiveness of this event is what has captured the attention of seasoned and non-seasoned runners nationwide. Entries have now closed for the Deep River Rock Belfast City Marathon but registration is still opened for the half-marathon which takes place on Sunday 23rd September 2018. Over 4,000 participants are expected to set off on their 13.1 mile journey from Ormeau Park in a bid to complete the largest Half Marathon event in Northern Ireland. This is the 6th Deep River Rock Belfast City Half Marathon. Entry fee is £29.50 for unregistered athletes and £27.50 for registered athletes and entrants must endeavour to achieve a finish time of sub-three hours. This is achievable – I haven’t run more than 17 kilometres and I am aiming to complete the Limerick half-marathon in less than 2 hours 15 minutes – the adrenaline will kick in (or so I keep telling myself). Speak to your healthcare professional or personal trainer before commencing a new exercise programme.